You just can't help but love the 80s Arena rock sound can you? 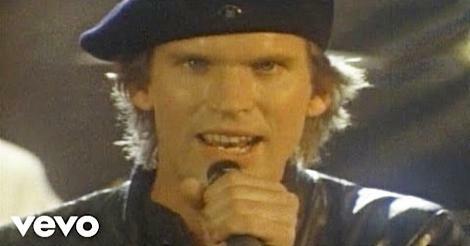 And if you lived through the 80s, then you also can't fail to remember the 80s rock anthem "Eye Of The Tiger". Many critics regard this song as cheesy, but I rarely take too much notice of music reviewers and, as with many of us who lived threw the 1980s, I've always loved this track. 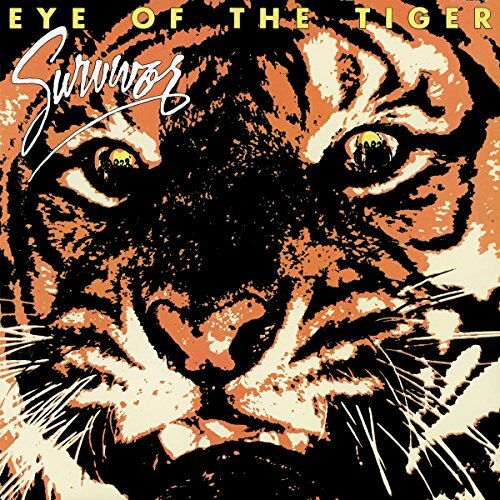 With its anthemic, guitar-driven chorus, Eye Of The Tiger gave Survivor their first chart hit in the UK, entering the UK singles chart at No.54 on 25th July 1982. The single climbed to No.2 on 15th August for two weeks, being held off the top spot by Dexys Midnight Runners "Come On Eileen". Survivor finally reached No.1 on 29th Aug, with Dexys falling to No.2. 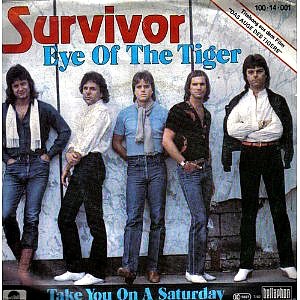 Survivor remained at No.1 for four weeks. The song also topped the Billboard Hot 100 for six weeks, giving the American rock band their biggest hit single in the U.S. 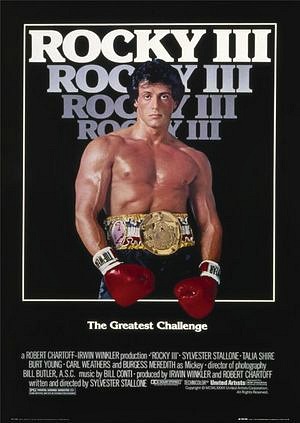 It featured on the band's third studio album of the same name and also the Rocky III movie soundtrack. Initially, Sylvester Stallone had asked Queen if he could use "Another One Bites The Dust" on the soundtrack. 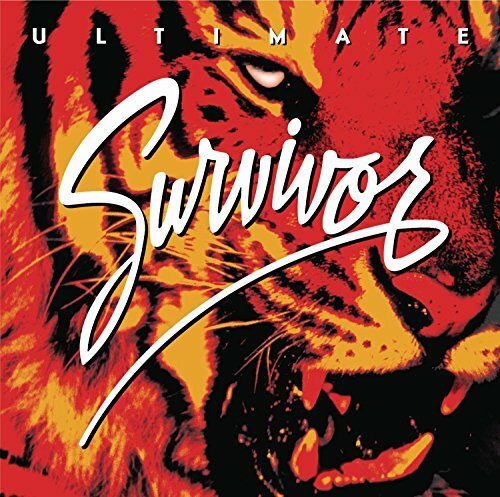 However, they refused and so he asked Survivor to write a song from scratch - and they came up with a true eighties classic which is now used frequently at certain sporting events. The B-side features a track entitled "Take You On A Saturday". This was one of just two hits in Britain, the other being the similar-sounding Burning Heart from the Rocky IV soundtrack. 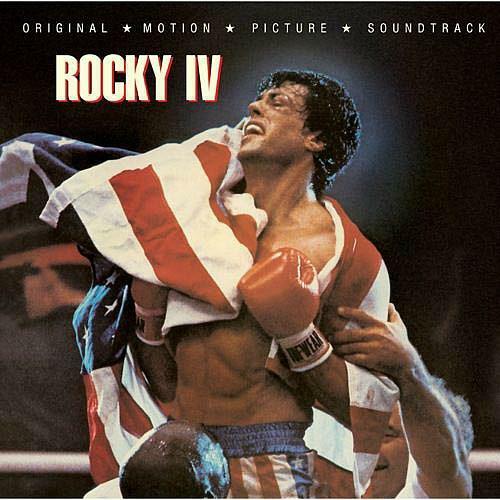 The follow-up to "Eye Of The Tiger", "American Heartbeat", failed to chart in the UK, but peaked at #17 in the U.S. One further single from the same album, "The One That Really Matters", stalled at #74 in America. Simplyeighties.com is a participant in the Amazon Associates affiliate program. This enables us to earn fees from linking to products on their websites.